The international renown of top Tunisian spa resorts is growing and luxury treatments are increasingly a factor drawing visitors to Tunisia, a country with a long-established bathing culture. The Roman-era Memmian Baths at Bulla Regia, in the north of the country, is just one of the ancient sites providing evidence of that tradition, which lives on within the country’s hammams and thalassotherapy centres. A few years ago it might have been the souks – bustling bazaars crammed with both character and a broad range of wares – or the historic medinas – such as the twelfth century walled town within Tunis, now listed as a UNESCO World Heritage Site – that attracted tourists to Tunisia. 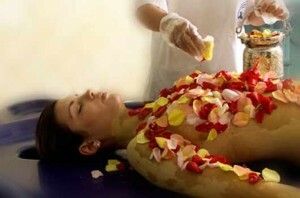 But in recent years a number of state of the art spa centres have openend around Tunis, Hammanet and Djerba. 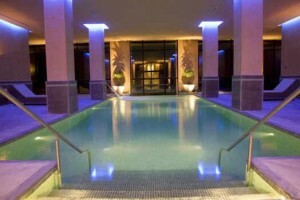 These luxury spas offer quality treatments at good value when compared to centres in Europe. And so long as you choose the right season, sunshine is pretty much guaranteed. With 49 thalassotherapy centres, Tunisia is now seen as one of the world’s top destinations for that genre of spa treatment. And thalassotherapy is currently experiencing a wave of popular recognition after a period in which it was seen by some as “just another of those chic trends that come and go in the ever changing world of wellness treatments”. Yet the origins of thalassortherapy can be traced to France in the second-half of the nineteenth century. Given its geographic location, perhaps it is unsurprising that Tunisia – which has 800 miles of coastline, of which 700 miles are beaches, and a sun-blessed Mediterranean climate – has become a leading thalassotherapy destination. 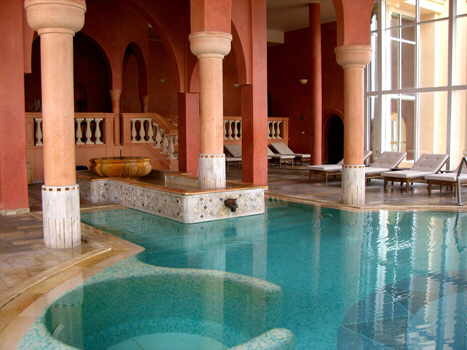 In fact, only France can claim more thalassotherapy centres than Tunisia. Claims have been made that thalassotherapy can treat back problems, joint trouble and muscle pains. Assertions have also been made that it can help alleviate stress and treat conditions such as eczema, psoriasis and arthritis. Almost inevitably, such claims have been greeted sceptically by some members of the medical profession. Yet there are patients who swear by the success of thalassotherapy treatments. And many more people enjoy thalassotherapy simply for being sensual and relaxing; a form of treatment that brings about a sense of well-being. Due to a growing reputation for quality and value for money, a number of the people who once took spa treatments in Europe are now travelling to Tunisia. Of the 152,000 people who headed to Tunisia for thalassotherapy treatments during 2008, a sizable number were from Germany, Switzerland and France; countries with established traditions of taking spa holidays. Tunisians can, of course, add that bathing is an integral part of their nation’s heritage. For Tunisian men a Friday evening visit to the hammam – the public steam bath – is very much a social tradition. The hammam acts as a meeting place as well as a location for washing, massages and relaxing in the heat. Hammams can be found throughout the country and usually consist of a series of rooms at varying temperatures. Bathers are expected to wear a cloth wrap known as a fouta around their waist. Many visitors find traditional hammam visits to be memorable and affordable. The architecture of traditional hammams influences the design of some of Tunisia’s leading spa centres. A fleeting look at the pastel colours within the pillared and arched hall of the Thermes Marins de Carthage, at The Residence Hotel, evokes thoughts of the country’s traditional steam baths. Yet modern spa centres are equipped with technology that traditional hammams do not have, including underwater jets within heated pools. The jets apply pressure to the body, comparable to having a massage, which help the muscles which are pummelled by the water to relax and, more generally, to reduce stress. You can book treatments ranging from one-off treatments lasting about an hour to courses of four or six days, longer in some cases. These courses start with a consultation by a doctor, who assesses the bather’s physical condition and recommends suitable treatments. These might include massages, algae or seaweed wraps, which are recommended to stimulate the body’s metabolism while aiding detoxification and deep cleansing of the skin. They also include applications of ghassoul, a mineral-rich clay which leaves skin feeling soft while also helping the body to detoxify. Aqua aerobic sessions are also common. Some people believe that thalassotherapy is a fast-track to weightloss. And it is a misnomer to think that thalassotherapy therapies appeal only to women. Men might play down the idea that they enjoy being pampered but statistics do not lie; about 40 per cent of the guests visiting spa centres in Tunisia are male. Year on year, the number of people enjoying the experience is growing. 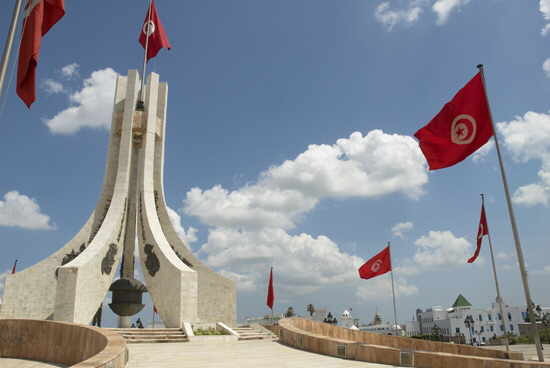 Tunisia lies in northern Africa’s subtropical zone and its climate is Mediterranean. The country is at its warmest during July and August. 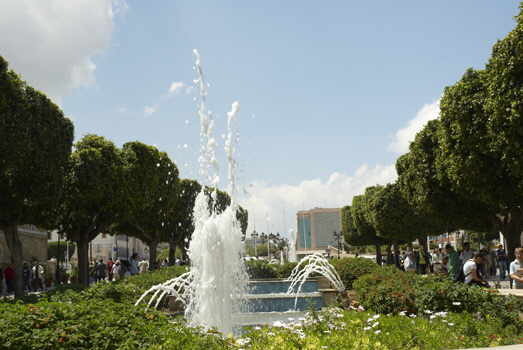 Summer temperatures in Tunis rise to 32ºC in July while the capital city’s changeable winter temperatures vary between 16ºC (61ºF) and 24ºC (75ºF). The south of the country is hotter during the summer then experiences a rainy season. Spring and Autumn are popular with sightseers but many bathers tend to prefer the heat of the summer. 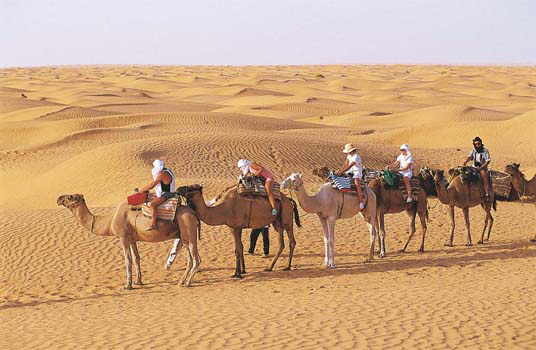 For more information about travel and Tunisian attractions visit www.tunisia.com. 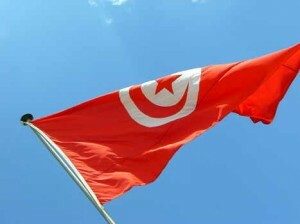 For insights to aspects of life in Tunisia, click onto www.tunisiaonline.com. Don’t forget that hammans are a traditional aspect of Tunisian towns and cities. Couples hoping to visit a traditional hammam together should remember that hammams are usually open at different times to women (usually afternoons) and men. There are some unisex hammams in areas popular with tourists. HASDRUBAL THALASSA & SPA Port El Kantaoui. This four star hotel is located approximately 150 km from Tunis-Carthage airport. A sister hotel is also operated at Djerba. The expansive spa spreads over 5500 m². 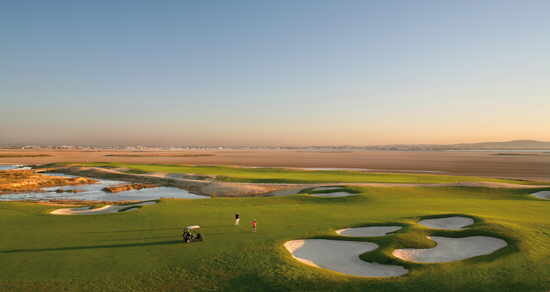 It offers an indoor and outdoor pool, fitness centre, plus dry and humid areas. The humid area hosts 10 hydromassage cabins, affusion showers, algotherapy treatments plus underwater shower cabins. The dry area has 18 massage cabins. Double rooms cost from 170 Tunisian Dinar (£80/ US$130) to the end of March and 310 Tunisian Dinar (£145/US$235) from April to the end of October. 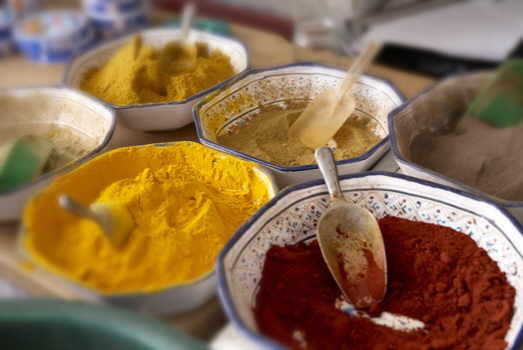 Overall wellbeing treatments range in price from 685 Tunisian Dinar (£315/US$525), for four days, to 2000 Tunisian Dinar (£915/US$1525) for the top-end 1001 night feel, lasting nine days. PARK INN ULYSSE PALACE & THALASSO PO Box 239, 4128 Djerba (+216 7575 8777). This 242 room hotel is a 20 minute drive from Djerba-Zarzis International Airport and approximately 10 minutes from the famous Houmt Souk area. Double rooms with a garden view are available from 64.50 Tunisian Dinar (£30/US$50) during the low season, while rooms with a sea view start from 100 Tunisian Dinar (£45/.US$75). RADISSON SAS RESORT & THALASSO Zone Touristique, PO Box 712, 4128 Houmt Souk, Djerba (+216 7575 7600). This 276 room hotel is also just 20 minutes from the Djerba-Zarzis airport, has four restaurants and also hosts the Athénée Thalasso. The 3000 m² spa area offers 60 cabins, a hamman and a range of treatments. Room rates start at 98 Tunisian Dinar (£45/US$75) during the low season, rising to 649 Tunisian Dinar(£300/ US$500) during the summer months. Note: currency conversions are rounded. Brilliant. Love it all. In fact, addicted…what’s next? This is talented and informative travel writing. I look forward to more articles by the travel writer Stuart Forster. I really liked the way you have described thalassotherapy in Tunisia. Great history to follow with incomparable relaxation. This is absolutely brilliant. Really well written, helpful and comes across friendly. I have searched under Stuart Forster but there appears to be no more. Is he (are you) a regular writer?